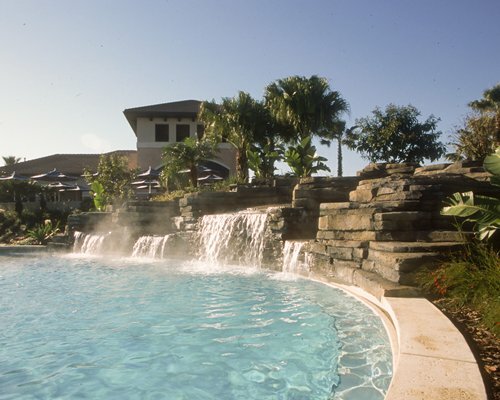 Even with so much to do nearby, guests find it difficult to tear themselves away from Orange Lake Resort with its 80-acre lake, 365m lazy river, golf courses, and restaurants. 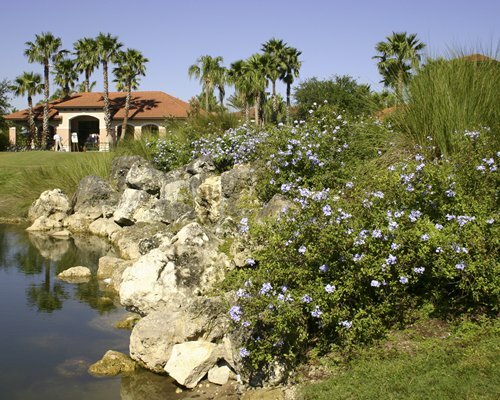 Abundant beach and sports activities include waterskiing, boating, fishing, tennis, racquetball, basketball, and more. 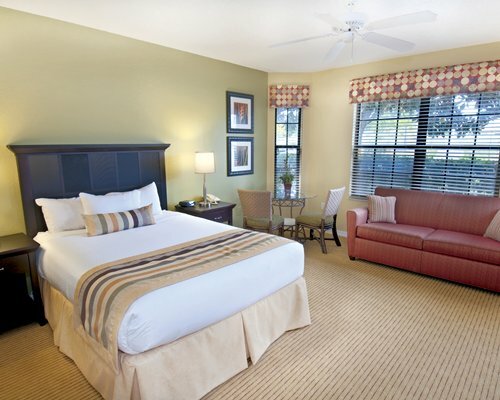 The North Village offers access to all the amenities of the resort but in a more intimate setting that families love. A spectacular swimming pool and its own nine-hole golf course are guest favourites. 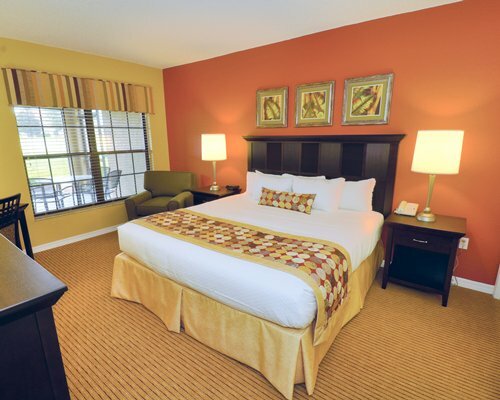 A variety of units are available at the Holiday Inn Orange Lake North Village. Ranging from one to three bedrooms, they offer ample room for groups of 4 to 12 guests to relax after action-packed days. 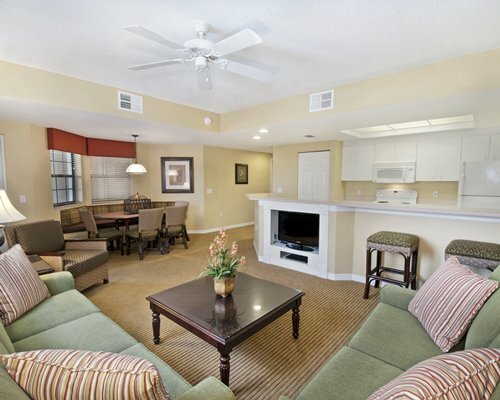 All are attractively furnished and offer amenities, comforts, and conveniences such as full kitchens, air conditioning, washer/dryer, telephones, and more. There's plenty for everyone, day and night and all-year-round. 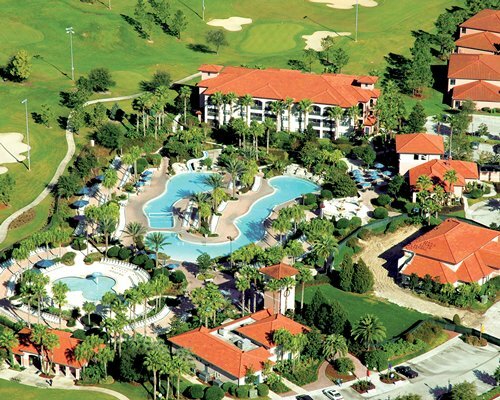 With the magic of Disney World at your doorstep, there are the world's finest theme parks, adventures, shopping, dining, entertainment, plus world-class golf, and more. 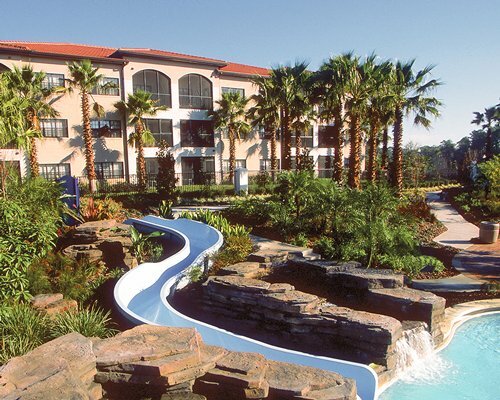 The lure of countless other central Florida attractions, SeaWorld, the Universal theme parks, sensational water parks, and other fun-filled destinations for the entire family, are all just minutes away. "Housekeeping fee for all RCI points reservations: There may be a fee of 105.00 U.S. dollars for 1 Bedroom units, per stay. Cash or Credit is accepted." For reservations less then 7 nights.